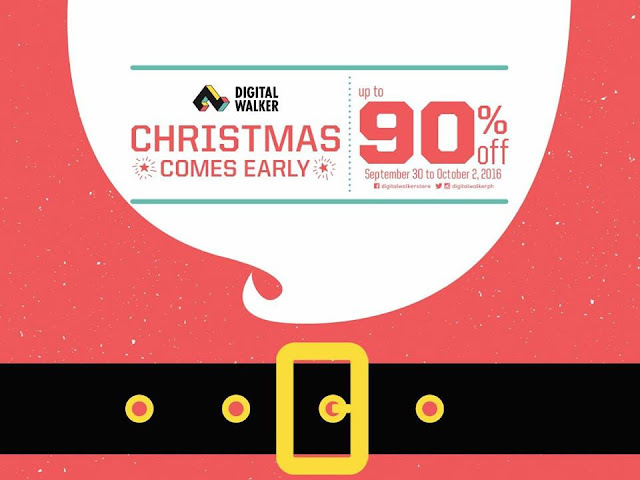 Just in: Digital Walker welcomes all gadget and tech enthusiasts at SM Megamall ‐ Mega Trade Hall 3 from September 30 to October 2 for their very first Christmas Comes Early Sale. With discounts up to 90% off, it’s definitely an early Holiday treat for the tech crazy fans out there. The much‐anticipated sale includes several well‐known brands such as Fitbit, Belkin accessories, Coloud headphones, Marshall speakers, Crumpler bags and more. The three‐day event has surprises in store for lucky buyers. A raffle promo is open to anyone with a minimum purchase of PhP3,000.00 while one lucky customer per day will get to take home one of these coveted gadgets: iPad Mini4, iPhone 6s, or a Marshall Woburn amplifier! For more information, follow Digital Walker on Facebook or on Instagram and Twitter @digitalwalkerph.